Ambrose Alli, University Ekpoma [AAU] Mid-Semester Test Schedule for 2018/2019 Academic Session. 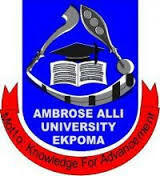 The Management of the Ambrose Alli University (AAU), Ekpoma, has released some important updates pertaining to the 2018/2019 academic session Mid-Semester Test. 1. The mid semester test is strictly based on course registration. The portal is open for registration and regularization of courses. 2. Attendance list can be downloaded from the school website. 4. Consequently, Only students who register their courses by 12noon of Thursday 4th April can write mid semester test. Those who do not meet this mid semester test registration deadline, can still register their courses before April 16th 2019 to enable them write exams. Recommended: AAU Ekpoma Regularization of Course Forms, Deadline 2018/2019.